We’re proud to support the this year’s 4th annual Digital Summit Detroit, coming back to the Cobo Center September 12-13, 2018. Join us and 1,600+ of your peers — and dig deep into the latest digital marketing trends and practices from leading brands. 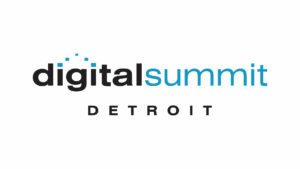 See the full program and speaker list at digitalsummitdetroit.com and use our special promo code AMA50 and get $50 off your pass. A limited number of seats available, so register soon and don’t forget to visit us at our table! Meet the AMA Detroit team, learn more about AMA and what we can offer you as a member of the Detroit marketing community. ← Hang with us at HopCat!